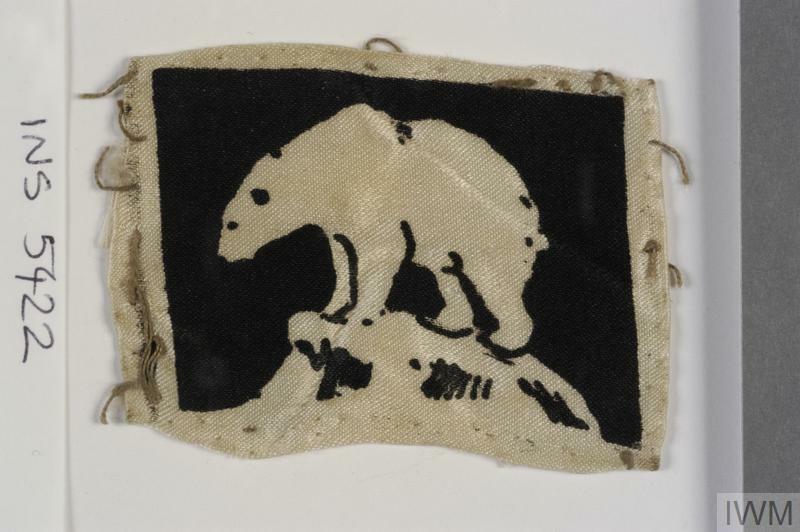 badge, formation, 49th (West Riding) Infantry Division & Avonforce & Alabaster Force & Iceland Force. badge A polar bear (facing left) with its head 'down', in white on a black background. First pattern. 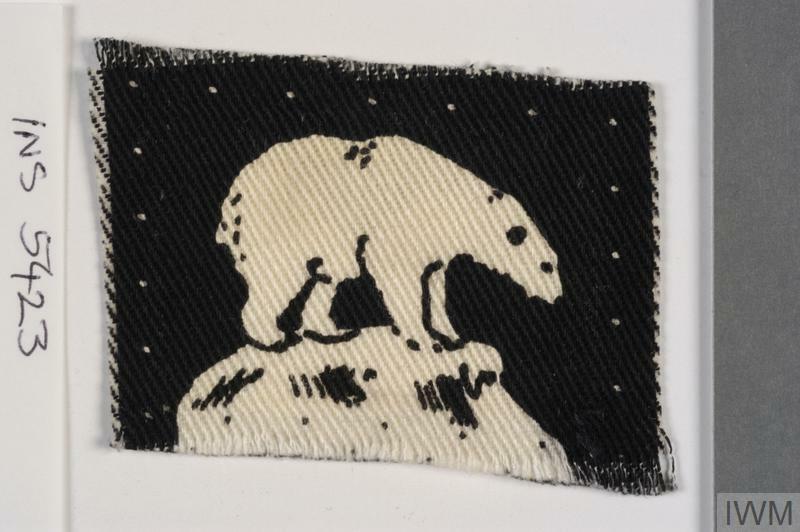 The first version of the badge had the polar bear with its head 'down' or lowered, and was adopted in August 1940 when in Iceland. It seems that a more aggressive appearance for the badge was thought appropriate for a formation designated for the invasion of Europe. 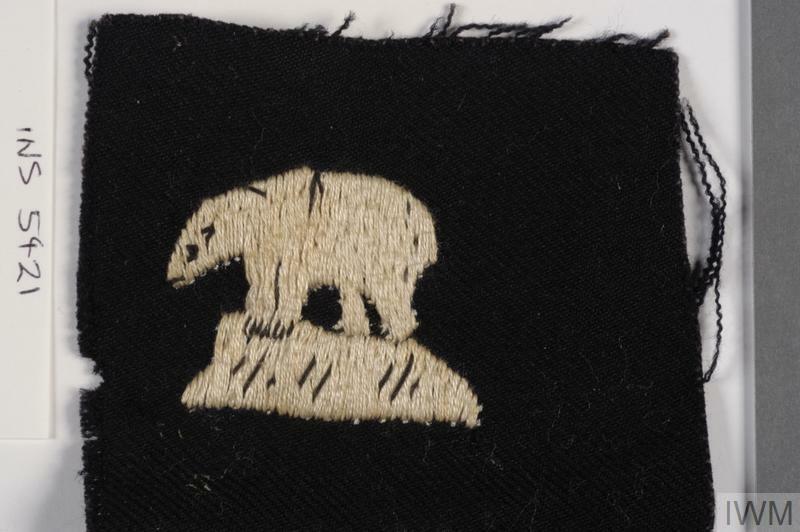 Consequently, when a new divisional commander took over in April 1943, a redesigned badge was adopted, with the bear's head thrown back and roaring. According to the Divisional History, the change could be 'open to criticism. 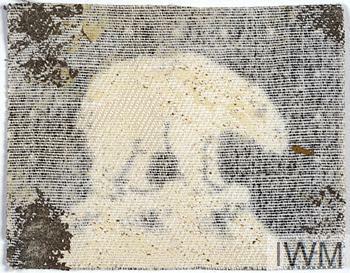 The original design was done with the help of an officer who had been charged by a polar bear in Iceland. 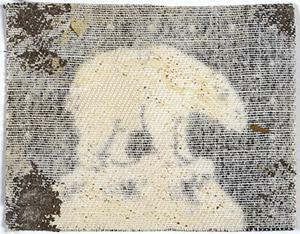 The polar bear, like the tiger, normally carries its head low, but before charging he lowers it very near the ground. 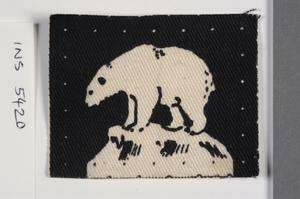 The original sign, intentionally, depicted a polar bear about to charge.' 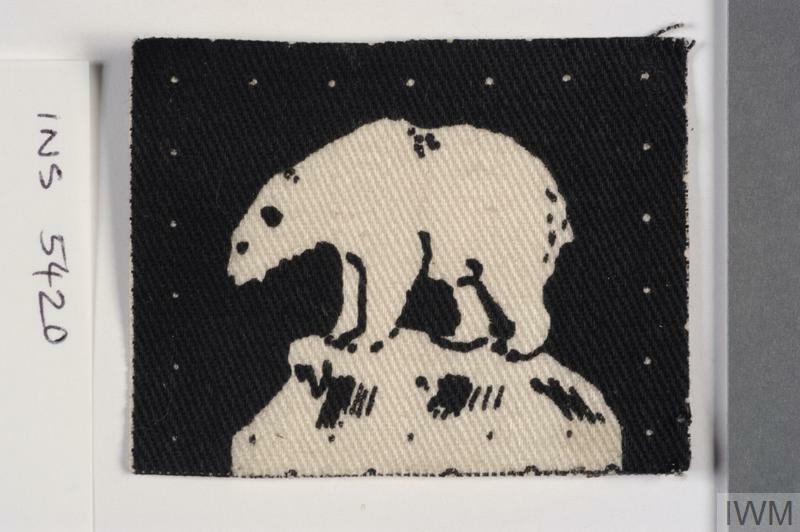 An alternative explanation for the emblem suggests that the bear was based on a Foxes Glacier Mint wrapper, which may be more likely as there appear to be no polar bears in Iceland. At the outbreak of war the Division was a first-line Territorial formation in the UK. In February 1940 Divisional HQ became HQ AVONFORCE, the force earmarked to go to the assistance of Finland in its war with Russia. Deployment in this role was forestalled by the Finnish surrender on 12 March 1940. The Division was then assigned to the invasion of Norway where it fought dispersed as brigade groups, 146th Brigade as 'Mauriceforce' and 148th Brigade as 'Sickleforce', at Namsos and Aandalsnes respectively. 147th Brigade did not deploy to Norway. 146th and 148th Brigades returned to the UK at the beginning of May to re-mobilise. 148th Brigade did not rejoin the Division and after a period as an Independent Brigade Group (from November 1940) became a training brigade in July 1942. On 8 May 1940, HQ 147th Brigade was designated HQ Alabaster Force for the occupation of Iceland. 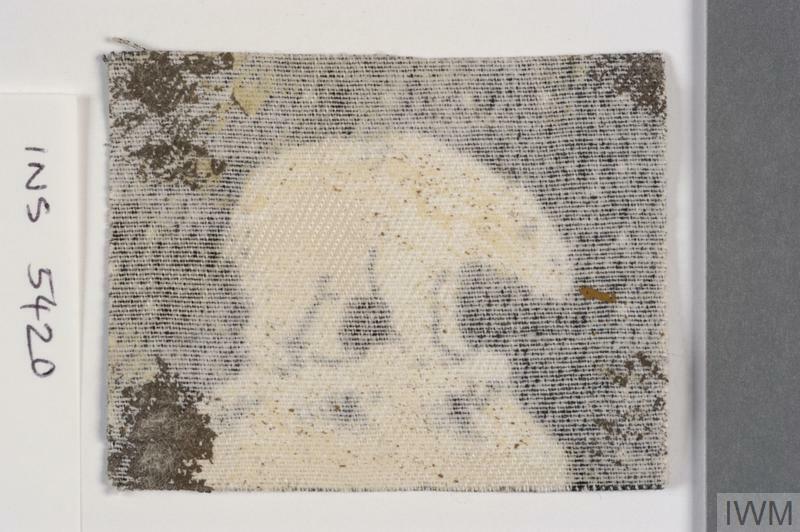 It reverted to divisional control as a brigade HQ in mid-June 1940 when HQ 49th Division arrived in Iceland with 146th Brigade and 70th Brigades under command. Alabaster Force was subsequently redesignated 'Iceland Force' in January 1941 and 'British Troops Iceland' in April 1942, by which time primary responsibility for Iceland had been taken over by the Americans with the deployment of a Marine force. 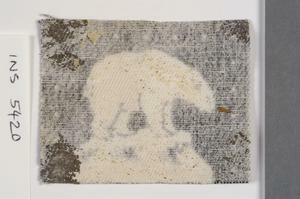 The Divisional commander arranged for the US Marines to adopt the patch for wear during their deployment. Divisional HQ and 147th Brigade returned to the UK in April 1942, 146th Brigade joining them in August. 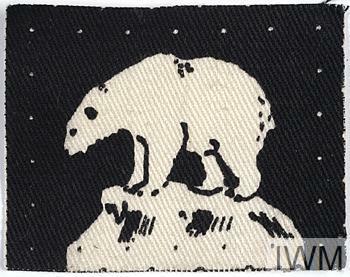 The Division was designated as a follow-on formation for the invasion of North West Europe and fought as part of 21st Army Group from 12 June 1944 to the end of the campaign in Germany. On the reconstitution of the Territorial Army (TA) in May 1947 the Division was reformed as a TA armoured division and retained the wartime badge. It added 'Midland' to its name as its recruitment area included in part the 46th (North Midland) and 48th (South Midland) Divisions. Norway, Iceland, GB, North West Europe.